I’ve got a case of the stressies today. The kind where the to-do list just never seems to get to-done. Where the laundry piles up as soon as I fold the last load. The papers I meant to file in 2011 are now buried under the ones I mean to file in 2012. I’m still answering emails from last November. And let’s not even talk about the ones that have come in since then. Now you know you’ve stumbled upon a killer recipe when you not only make and finish it in one night. But you rinse and repeat for two more consecutive nights that week. Last week, I happened to land upon her Red Lentil Soup with Lemon recipe. I also happened to have some butternut squash in my refrigerator and a mean hankering for something warm in my belly. And so this is how my lentil soup addiction began. Very innocent at first. I skipped the salt and spinach, and I cut back on the butter. 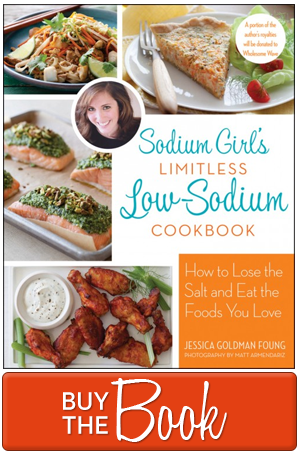 But other than those three changes, the rest of the recipe was already low-sodium friendly. 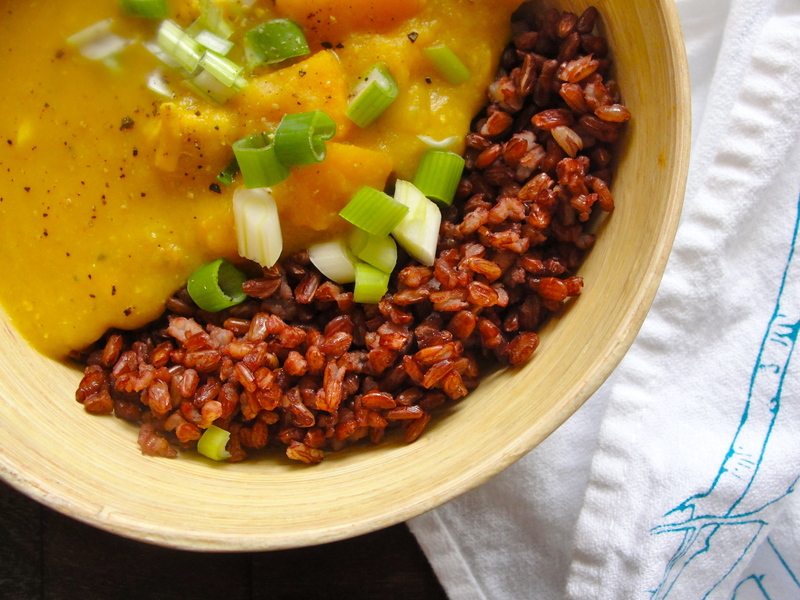 I did add some butternut squash to the dish — which I pureed with the lentils and left in chunks for texture — and steamed up some red rice to help soak up all that rich soup. And while this soup is most definitely dinner-party-friendly, it only takes about 30 to 40 minutes to whip up. Meaning it’s time-friendly too. So put this recipe on that to-do list. And check it off with pleasure. In a pot, melt 1 tablespoon of butter over medium-high heat. As it begins to turn a caramel color, add the garlic and onions, and stir until they turn soft and slightly brown, about 5 to 8 minutes. Add the lentils in a pot with 5 cups of water, the turmeric, cumin, lemon pepper, mustard seeds, and the remaining tablespoon of the butter. Bring to a boil and then lower the heat to a simmer. Add 1 cup of the chopped butternut squash, cover, and cook until the lentils are soft and falling apart, about 20 minutes or so. 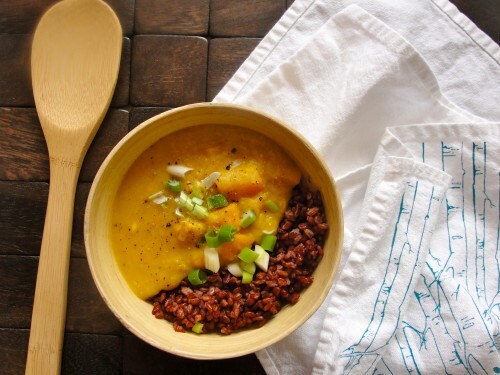 Take the pot off of the heat and puree with a hand blender until silky smooth. Place the pot back on the stove, add the remaining butternut squash cubes, and more water until the soup is the consistency you like. Bring to a boil again and then lower heat to a very gently simmer. Add the lemon juice, cover the pot, and cook for another 10 minutes. This is a great time to cook that rice if you haven’t done so yet. Just before serving, give it a quick taste. Add a bit more black pepper or a pinch of red chili pepper flakes if you want heat. Even a sprinkle of salt-free garlic powder works wonders if it needs more flavor. Finally, ladle a scoop of rice onto one side of each bowl and then pour in the soup along the other side. Like a yin-ying of yum. Add a dollop of yogurt and a sprinkle of green onions. Dig in. Enjoy. And get ready for an encore performance sometime soon. 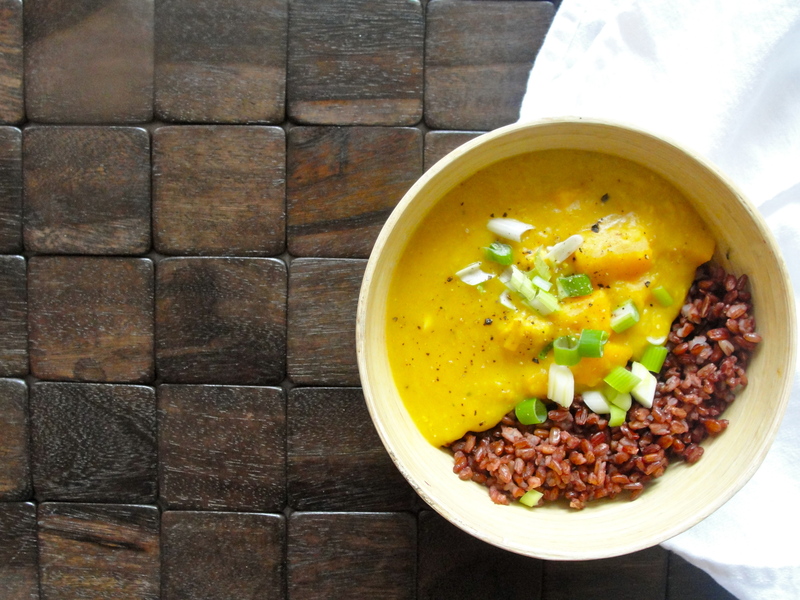 I’m a huge fan of just about anything with lentils in it, and I’m sure this soup wold be a hit for sure! With cumin, turmeric and mustard, it HAS to be good. Had this recipe printed out for a week and finally made it. Fantastic!! This soup looks amazing! 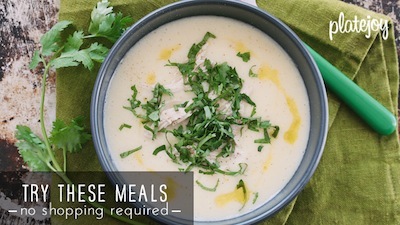 If you were bring a friend in need (new baby, illness, etc) a low-sodium meal this recipe looks like it would be a perfect choice- filling, flavorful and healthy. Can’t wait to try it! Thanks for your great website!